With the ever increasing burden of landfill and aggregate tax together with spiralling transport costs, careful materials planning has never been so important. stafsurv have many years’ experience in providing cut & fill strategies for large and small construction companies and because of this experience, we are 100% confident in the figures we produce. We have provided these solutions for numerous projects which include distribution centres, warehouses, schools, office parks and even domestic properties. Typically a client will need to know the earthworks quantities involved in preparing a site for construction. A detailed 3D ground model is created using the proposed layout drawing, this is then reduced by the specified construction depths of tarmac, concrete, aggregate and capping layer and then compared with the site survey to give an overall cut and fill figure. Armed with this initial data the client can then decide if it is possible to re-design all or some of the site levels or construction depths in order to balance or reduce a surplus / shortfall of material or to accommodate arisings from drainage and foundation excavations which typically do not become available until later in the job. Our results are always presented in a package that supports the calculations, typically this will include a report stating assumptions and quantities, a drawing which confirms the actual “as modelled” proposed levels, an isopachyte contour plot showing the depths of cut and fill and a shaded plot showing the same, additional plans. 3D views and sections will be provided to clarify where necessary. Our experience in earthworks and construction site operations combined with our modelling knowledge means we are the ideal choice for this type of work. 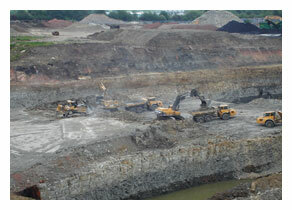 Staffordshire Cut Fill Strategies covering the Midlands and Derbyshire.